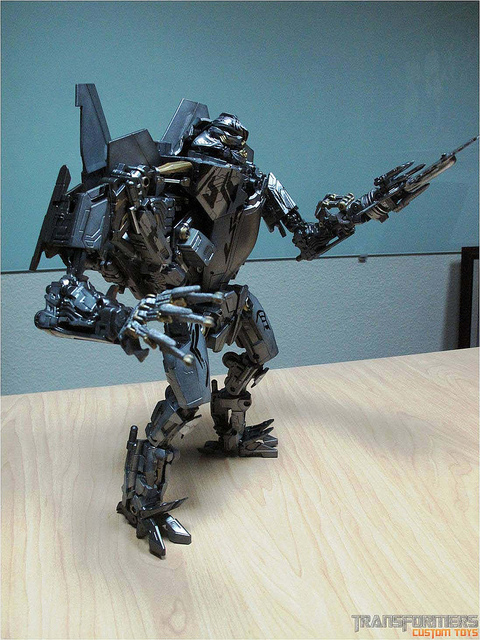 This Movie Starscream Custom was made for a local repeat client. 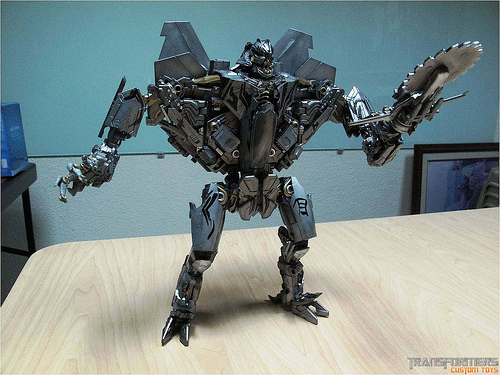 Its a Leader Class Custom Starscream. 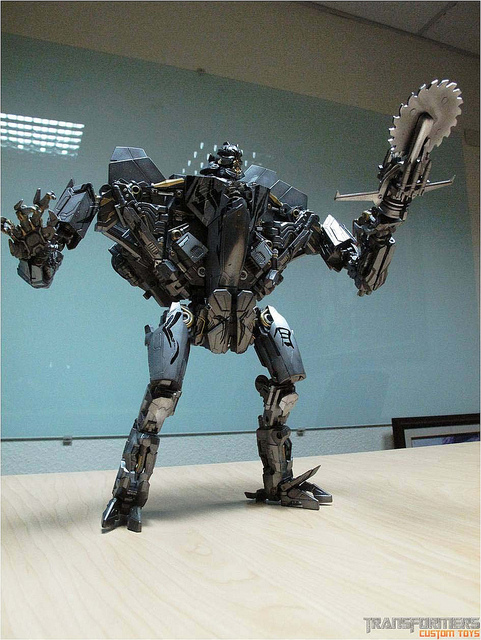 Like many of my Transformers movie custom toys i have done before, i have sacrifice its Raptor mode for movie accuracy looks. 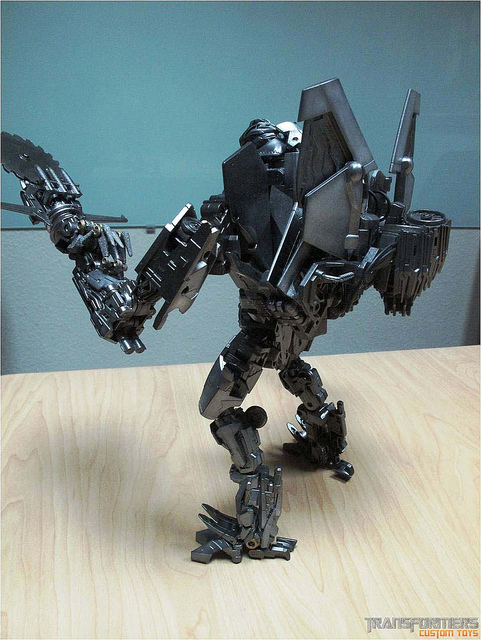 I redefined his paint job with a more gunmetal-like gray finish. 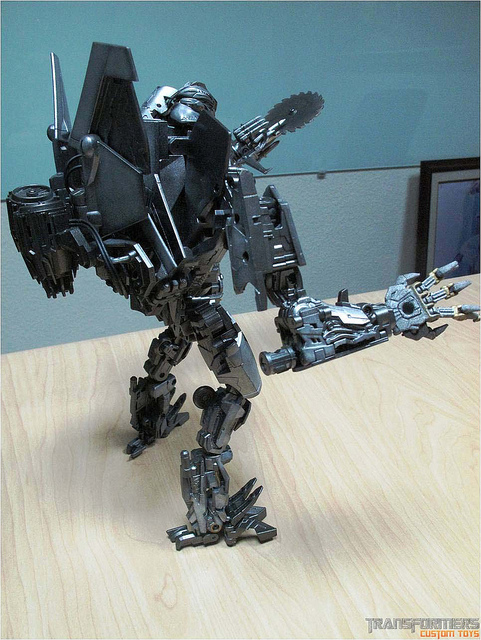 Movie Starscream custom features a poseable hands from Fakebusker, a FWI-1 Leader Starscream Add-On which is composed of add on mini thrusters on his back and a buzz saw weapon attach via pegs. His original weapons the two flip-out, non-firing weapons on his forearms are also present. 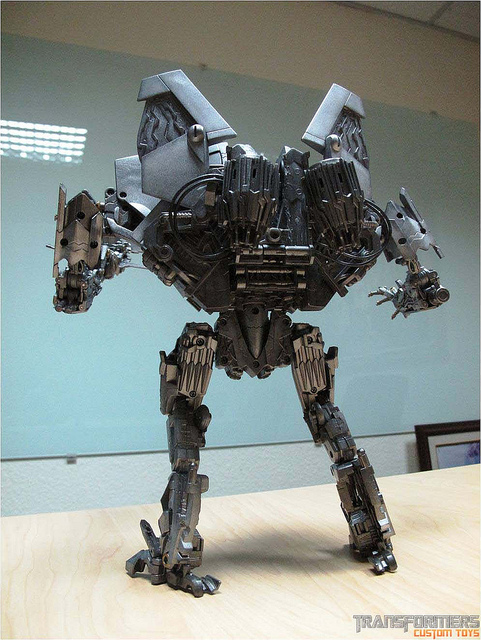 This custom Starscream is a brute force to reckon with. Check out the images below.